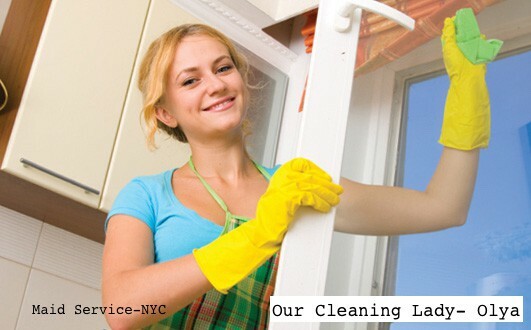 As a New York resident, you will no doubt be used to the speed in which your property can be in need of cleaning. Whether you are running a small business or you are just looking at your home in New York, you will find that cleaning is something that has to be dealt with on a regular basis. Life catches up with us all, though, and finding the time to effectively clean the place up and make it look good is a hard thing to do – for anyone in that position, turning to various New York cleaning services can be the ideal solution. Cleaning ladies are the perfect way to get your building looking smart and secure once again, removing a lot of the challenges that come with trying to keep your home in solid order and making sure that it looks the best that it can. Our knowledge and information around what makes a property look so good and what constitutes safe and effective cleaning means that you can trust us to get the job done no matter how severe the cleaning ladies may need to be grime and dust can be a horrible thing to live in, and when it all starts to build up it can simply become too big a task for you to take on yourself and manage to clean up and deal with effectively. In any of these situations, having a reliable and friendly maid can be the perfect solution open to you. It makes cleaning so much easier to manage when you know that professional cleaning ladies and maids will be around to sort it all out and give you a property that looks fit to be listed in New York once again. It’s all about landing that stunning style and format once again, and we’ll do everything that we can help to help you make this the case. All of our knowledge and all of our skills will be put to the test here, so we’ll make sure that everything we use for our cleaning services is going to be the right product. All of our maids come with a large array of knowledge about cleaning standard sand what is expected from our cleaning ladies, so you can trust that they know what to do in any given situation. 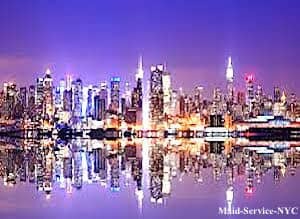 If you need something cleaned up and dealt with but aren’t sure what to do, why not ask one of our maids who is handling your Manhattan cleaning service? This makes it much easier for you to get the answers that you need as well as get the professional assistance that you need from our cleaning ladies. Aside from being extremely diligent works who know what they need to do, and who work with professionalism at all times, our staff are incredibly friendly people as well! They’ll give you all the information needed as well as make sure that you can feel comfortable and happy whilst they work around your own schedule. Our cleaning staff are ready to start anytime you wish, so just contact us at: 212-729-4629 or e-mail us: office@maidservice-nyc.com for details today! cleaning service hells kitchen, cleaning service 10018, cleaning service 10011, cleaning service midtown east, cleaning service 10017, cleaning service 10018, cleaning service 10020, cleaning service 10168, cleaning service midtown west, cleaning service 10019, cleaning service10036, cleaning service kips bay, cleaning service 10016, cleaning service theater district, cleaning service gramercy park, cleaning service 10010, cleaning service 10022, cleaning service garment district, cleaning service flatiron, cleaning service 10003, cleaning service 10010, cleaning service 10011, cleaning service nomad, cleaning service manhattanville, cleaning service 10026, cleaning service 10027, cleaning service 10115, cleaning service harlem, cleaning service 10026, cleaning service 10027, cleaning service 10029, cleaning service 10035, cleaning service 10037, cleaning service upper eastside, cleaning service ues, cleaning service uws, cleaning service les, cleaning service lws, cleaning service midtown, cleaning service downtown, cleaning service 10021, cleaning service 10022, cleaning service 10028, cleaning service 10075, cleaning service 10065, cleaning service 10128, cleaning service 10029, cleaning service koreatown, cleaning service Financial District, cleaning service fd, cleaning service 10004, cleaning service 10005, cleaning service 10006, cleaning service 10007, cleaning service 10048, cleaning service 10282, cleaning service 10281, cleaning service east village, cleaning service 10009, cleaning service west village, cleaning service 10014, cleaning service greenwich village, cleaning service tribeca, cleaning service 10013, cleaning service battery park, cleaning service 10280, cleaning service soho, cleaning service 10012, cleaning service lower east side, cleaning service 10002, cleaning service 10003, cleaning service 10009, cleaning service bowery, cleaning service nolita, cleaning service 10009, cleaning service noho, cleaning service 10003, cleaning service little italy, cleaning service civic center, cleaning service chinatown, cleaning service 10002, cleaning service 10005, cleaning service 10013, cleaning service 10038, cleaning service 10002, cleaning service 10013, cleaning service 10031, cleaning service 10032, cleaning service 10033, cleaning service 10034, cleaning service 10040, cleaning service central harlem, cleaning service east harlem, cleaning service west harlem, cleaning service central park, cleaning service inwood, cleaning service 10034, cleaning service greenwich village, cleaning service 10012, cleaning service 10013, cleaning service alphabet city, cleaning service loisaida, cleaning service 10009, cleaning service stuyvesant town, cleaning service 10009, cleaning service 10010, cleaning service murray hill, cleaning service 10016, cleaning service 10017, cleaning service tudor city, cleaning service 10017, cleaning service turtle bay, cleaning service 10016, cleaning service sutton place, cleaning service 10022, cleaning service roosevelt island, cleaning service 10044, cleaning service lincoln square, cleaning service 10023, cleaning service yorkville, cleaning service 10028, cleaning service hamilton heights, cleaning service 10031, cleaning service hudson heights, cleaning service 10033, cleaning service fort george, cleaning service 10040, cleaning service white hall, cleaning service lower east side, cleaning service wall street, cleaning service two bridges, cleaning service chelsea, cleaning service midtown south, cleaning service clinton, cleaning service murray hill, cleaning service central park, cleaning service turtle bay, cleaning service lenox hill, cleaning service kips bay, cleaning service gramercy park, cleaning service abc city, cleaning service garment district, cleaning service morningside heights, cleaning service washington heights, cleaning service fort george, cleaning service midtown south, cleaning service medical city, cleaning service beekman, cleaning service sutton, cleaning service tudor.